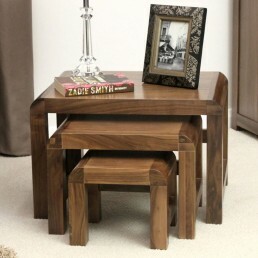 Crafted from the highest grade solid walnut, this contemporary modern art deco walnut furniture collection enriches any space with this exceptional retro style furniture. 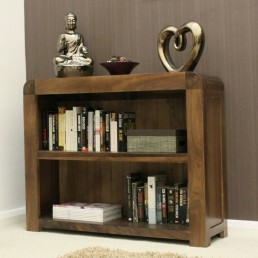 This Shiro walnut furniture rejuvenates the aesthetics of art-deco modernism, the look is contemporary but the style is enduring. 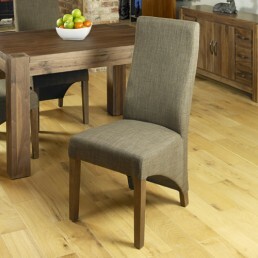 Walnut is an unmatched timber with regard to its rich dense grain and the walnut used in production of the Shiro range is obtained from carefully managed plantations making this the ideal marriage of style and sustainability. 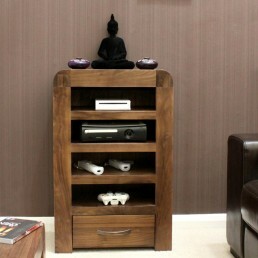 This modern walnut furniture range matches with our Mayan collection. Buy online - UK stock - Quick Delivery. 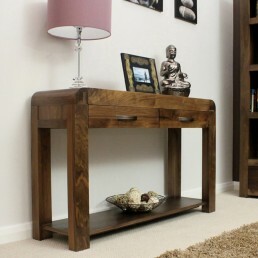 This walnut home work station has a beautiful and contemporary modern curved design and is hand-c.. 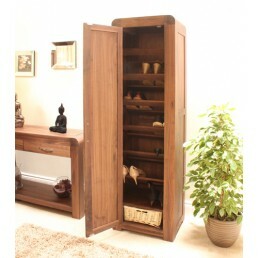 This walnut retro style cabinet has a beautiful and contemporary modern curved design and is hand.. 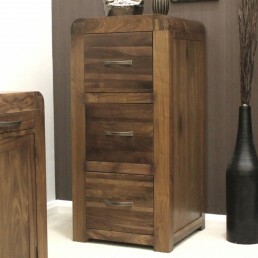 This office filing cabinet has a beautiful and contemporary modern curved design and is hand-craf.. 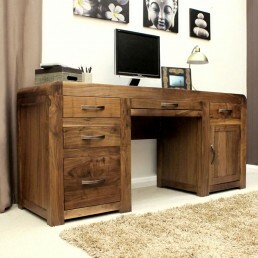 This computer desk has a beautiful and contemporary modern curved design and is hand-crafted from.. 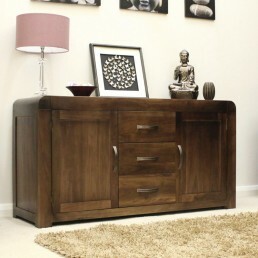 This large sideboard has a beautiful and contemporary modern retro curved design and is hand-buil.. 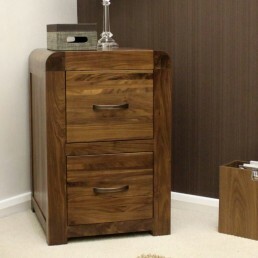 Sample of solid walnut finished in the Shiro range colour and satin lacquered. 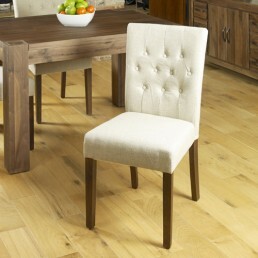 ..
Walnut is a very high quality timber with a dense grain, this makes it the perfect choice for building stunning and unique furniture. 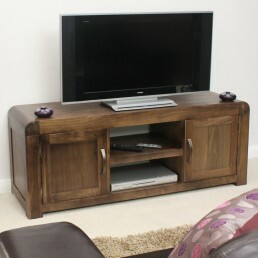 Crafted from the highest grade selected solid walnut obtained from sustainable managed plantations. The Walnut tree or Juglans is a plant genus of the family Juglandaceae, the seeds of which are known as walnuts. They are flowering deciduous trees growing to around 10 to 40 metres tall, with pinnate leaves between 200 to 900 millimetres in length. 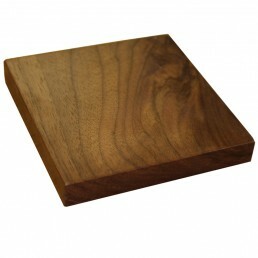 The common walnut and the black walnut and its allies, are important for their attractive timber, which is hard, dense, tight-grained and polishes to a very smooth finish. 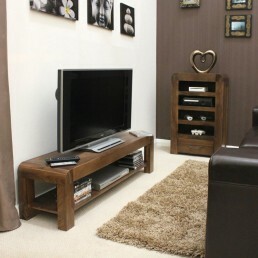 The colour ranges from creamy white in the sapwood to a dark chocolate colour in the heartwood. When kiln-dried, walnut wood tends toward a dull brown colour, but when air-dried can become a rich purplish-brown. 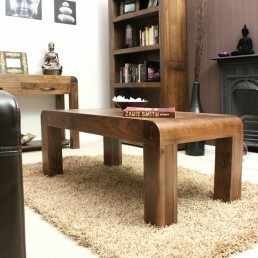 Because of its colour, hardness and grain, it is a prized furniture and carving wood. Here is a short video explaining the techniques used to stain and produce an everlasting finish for walnut timber. Art deco has it's roots in Europe, in particular the French capital, Paris. It was created in the early years of the 20th century, but didn't really gain popularity until after World War I. It remained in vogue right up to the outbreak of World War II. This style was not just for the elite. By the 1930s, mass production meant that everyone could obtain in the art deco style. As travel became popular, this style was also influenced by foreign cultures outside of Europe, in particular Africa where animal skins, ivory, mother of pearl, and tortoiseshell could be obtained. After Tutankhamun's tomb was discovered, Egyptian pyramids and sphinxes were widely featured. Our Shiro collection features some of the influences of this era, such as curved geometric and angular shapes, plus chunky robust design and the popularity of the rich walnut colours. 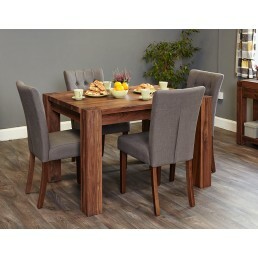 This range has exceptional build quality and is designed to last a lifetime. 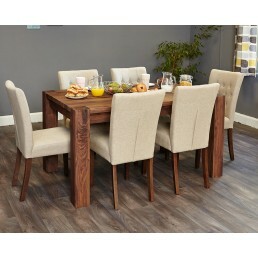 Solidly built and no self-assembly is required except for dining tables. Joinery techniques include tongue and groove backs and fully dovetailed drawers. 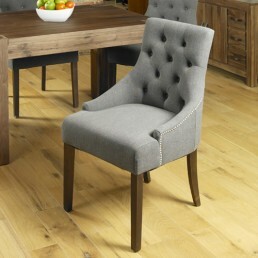 Features include stylish antiqued bronze handles plus a resilient satin lacquer finish. 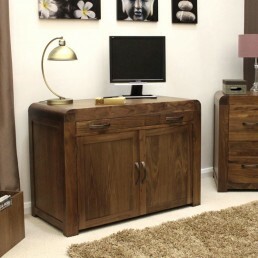 The Shiro furniture range features several pieces perfectly suited to your home office or study requirements. The computer desks and workstations provide cleverly designed solutions to hide the ugly clutter associated with computers and IT. 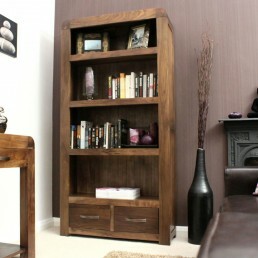 The filing cabinets and bookcases offer essential storage for paper files and books. 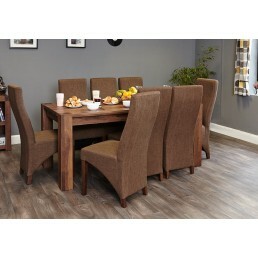 Being robustly built to the very highest standards with practical design sense this furniture is ideal for the family home or any commercial situation such as hotel rooms and restaurants. 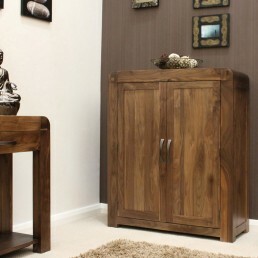 The simple design and lustre of the stained walnut timbers allow this furniture to form part of many interior design decorating themes. 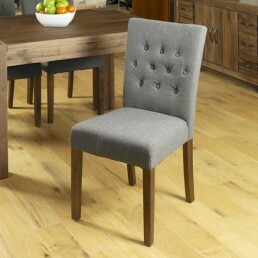 It is usually available from stock in the UK for delivery in around two weeks by a professional furniture courier specialist.